Instagram is one of the most popular social media platforms today, and its visual appeal is highly popular among the youth and fashion forward audience of the entire social media universe. Combining these stylish and youthful elements, Blackberrys chose Instagram as the perfect platform for the launch of Linen House Collection, their new range of Linen clothing for men. Not only has Blackberrys traditionally been synonymous with fashion and creativity, the brand have truly kept up with the times, being pioneers to combine fashion and digital media with their meticulous strategy that channels Blackberrys’ persistent quest for excellence, not only in terms of quality, but in terms of service to their consumers. The Linen House Collection from Blackberrys banks on the brand’s association with impeccable quality that has lasted over two decades, an extensive and elegant linen based collection of shirts, trousers and jackets manufactured with the light and breezy material and an innovative, never before adopted approach with a focus on Instagram. 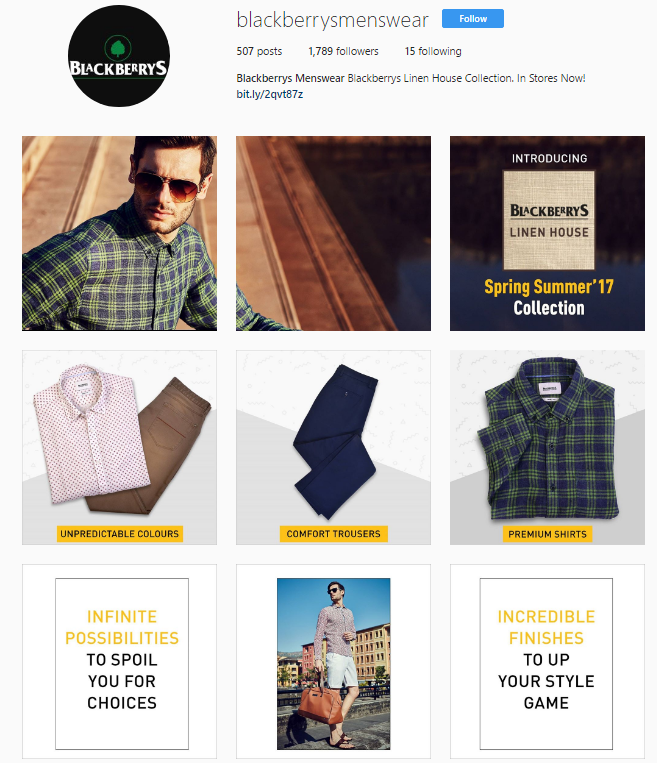 For the digital introduction of the Linen House Collection, Blackberrys created a dedicated Instagram microsite, with specific Instagram handles for each product category for a distinct and focused application towards promoting them. #Repost @official_sammydvn (@get_repost) ・・・ On vacation, you can wear all the colorful and casual clothing that you like, but you must always be elegant @blackberrysmenswear @linenhouseshirts check out the link in my☝?bio tO buy this☝?guys… use voucher code?? :SOM20OFF to get an exculsive flat 20%? ?discount on the collection.. #linen#linevey#blackberrys#menswear#elegance#menfashion#fashion #fashionpost #fashionstyle #fashionaddict #fashionblogger #luxury #linen #linengram #chandigarhfashionblogger #chandigarh #instafollow #instastyle #instalike #instagram #instagramtags #shoes …..✌? Linen House Collection was unveiled at the perfect moment, keeping in mind the summer season, and the product attributes that promote style without compromising on comfort, a signature Blackberrys trait. 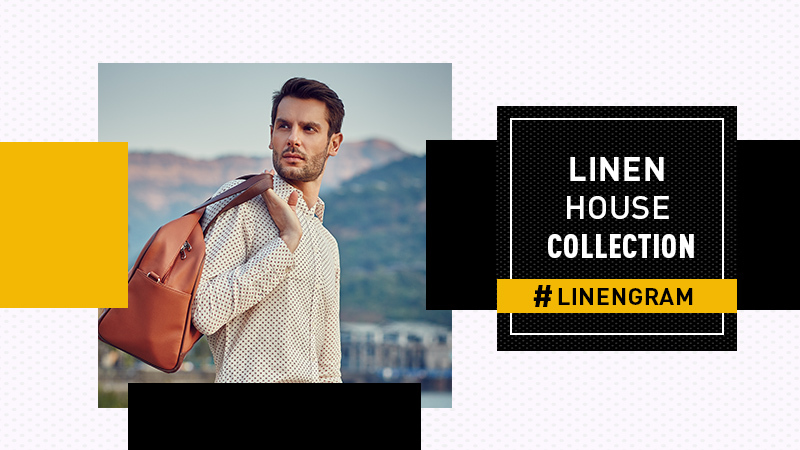 With style and creativity at the heart of Linen House Collection, the brand’s exceptional promotional strategy was pivoted around reaching their target audience through digital channels. 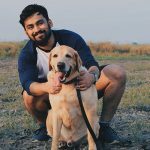 Collaborating with fashion bloggers and Influencers on Instagram, Blackberrys incorporated crucial and successful elements of social media marketing into their strategy, as bloggers and Influencers are decisive when it comes to influencing the buying behavior of the fashion forward new age man, the Blackberrys man. Blackberrys further aims at driving digital purchases by introducing voucher codes to their valuable buyers, enabling them to avail discounts through the Blackberrys website.